To appreciate the many cultures that have shaped Hawai‘i, we invite the audience to discover the untold stories behind the dishes of our shared community. Each episode features a guest who introduces a memory dish or favorite family recipe. We explore the history of the recipe as we follow Ed and his guest on a journey that bridges communities through cultural experiences. Join Family Ingredients as we travel, search, discover, eat, and celebrate our diverse multicultural influences that make us who we are today – the Aloha State. Ed attended the Culinary Institute of the Pacific and trained in Honolulu’s top restaurants. He opened his first restaurant, Town, in 2005 to rave reviews. 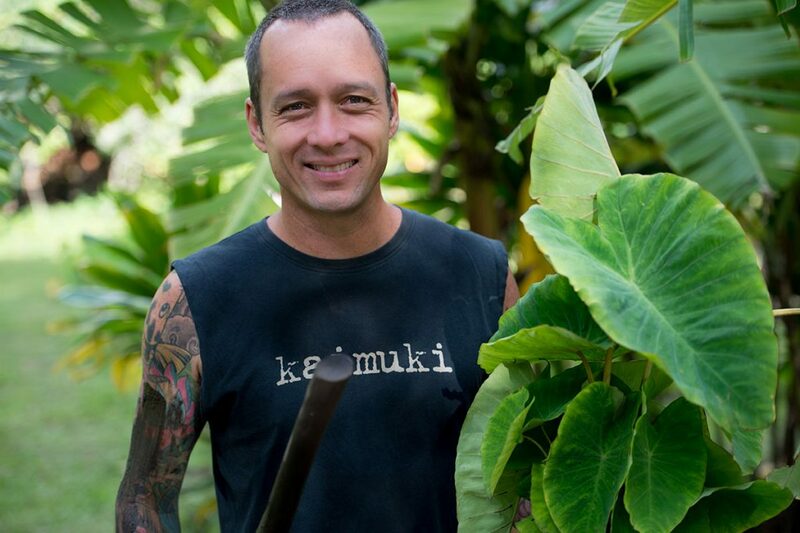 Today, his four restaurants – Town, Kaimuki Superette, Mud Hen Water, and the newly opened Mahina & Sun’s – are lively gathering places guided by the mantra “local first, organic whenever possible, with aloha always.” Born and raised in Honolulu, he is the son of Broadway performer Ed Kenney and renowned hula dancer Beverly Noa – both famed Waikīkī entertainers of the ‘60s and ‘70s. Ed has been recognized for his achievements, won many awards and accolades over the years and fed many luminaries but his proudest accomplishment is his family – wife, Spanky and kids, Celia and Duke. Family Ingredients is a Co-Executive Production of PBS Hawai’i and Pacific Islanders in Communications.